Maddie Day is a talented amateur chef, holds a Ph.D. in Linguistics from Indiana University, and is a member of Sisters in Crime and Mystery Writers of America. Her short stories have appeared most recently in the anthologies That Mysterious Woman, History and Mystery, Oh My!, Stone Cold, and Fish Nets. 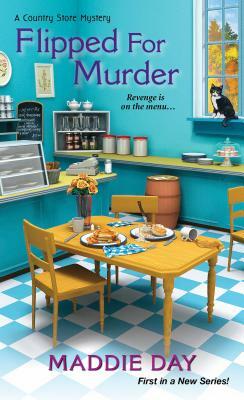 She lives with her beau and three cats in Massachusetts, where she's currently working on her next Maddie Day mystery when she isn't cooking up banana walnut pancakes for breakfast.